My qualifications are this: I tried to sell a Baldwin M for a long time. I shopped for a BAldwin L for a while too. I spent a lot of effort attempting to establish the value of these two pianos, and I dare say that I have a good sense of the market value for a Baldwin M as a result. I'm no expert on any other value, for sure, but this particular model I think I am. 1. Market value of a piano, especially a fine piano, depends on its condition. If you disagree, fine. People actually in the piano industry would not agree with you. 2. Copying and pasting (out of context) my quote regarding current Baldwin prices in compared to Steinway into the thread "worst lies of the industry" and including my name is in poor taste. My point on pricing was perhaps not thought through well, and I agree with you that people will PAY less for Baldwin than Steinway. Im not perfect, and I should have made my point in another manner. nevermind...doesnt sound like you know much about pianos. well... if you believe a M from '78 is worth 14,000 you deserve to sell Pearl Rivers. I was offered a new Baldwin R (ebony) in 1978 for 5,200. 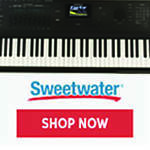 Baldwins at Steinway prices? 1) Most of the general public places a higher value on Steinway. 2) Most pianists place a higher value on Steinway. 3) Baldwin has gone bankrupt twice. The above quote is true, I agree. Mark saying it's worth $6000 and for Christopher to say it's worth $7500 without either of you having seeing it is no more factual than me saying its possible its worth a lot more. THAT was my point. Im not here to defend Baldwin, I joined this thread to give my opinion to a customer, which was that I love their Grand pianos and if they are mint or rebuilt/refinished/etc..., even older ones can command a healthy price. And I DID comment that I thought $14,000 was on the high side. Where did I write that I believe it's worth $14,000? P.S. I love my industry, I'm proud of the pianos I sell and proud of my job, and I wont sink to your level of personal attack. then why did you publicly say I didn't know anything about pianos? I'll apologize. I think it is a very worthy thing.... to sell any pianos. I hate to see someone whose money is very precious to them spend it unwisely. I may not be 'entitled' to give my opinion.....don't have a masters or anything in pianosales.... buy I don't retract it and think you are rude even tho I do apologise. Now.... tell me which apologi-e is spelled correctly. Don't pay 14,000 for a 6,000 piano. 1. 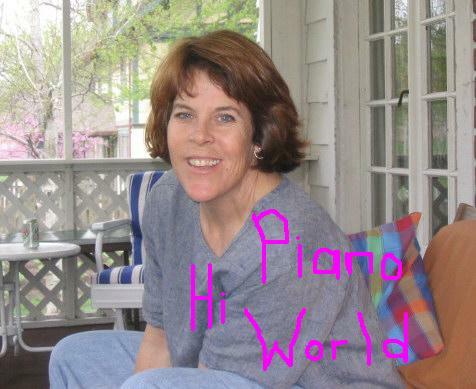 I apologize for saying you dont know anything about pianos, that went too far. Im sure you have some knowlege. 2. Your above post suggests you know that the piano in question is worth $6000. How did you arrive at that without knowing anything about the piano? Would professional technicians across the country who have spent their careers becoming experts and charge for educated appraisals that involve taking apart the piano, looking at many factors, approve of your sight unseen method? 3.The reason I participated in this thread beyond my original reply is simply to dispell the notion that you and Christopher, or anyone for that matter, have some astounding ability to appraise pianos sight unseen. It doesnt work that way, and will mislead consumers who don't know any better. Any item or product (including pianos of every description)are worth exactly what a willing buyer agrees to pay a willing seller. No more or no less. 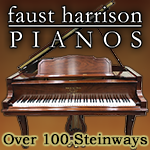 I have been selling Baldwin pianos since I was a freshman in college, nearly forty years ago. The opinions expressed in this forum are not going to influence or change the pricing policy of any Baldwin dealer, nor the market value of any used Baldwin grands. If a piano shopper finds this website and is dissuaded from choosing a Baldwin, in favor of some other esoteric brand from Eastern Europe or Asia, hopefully their investment will prove satisfactory, and they won't benefit from owning a Baldwin (at least the first time). What could possibly be done to a 26 year old Baldwin M to make it worth 14,000 when a year ago the same piano could be purchased new for that price? If it had been stored at perfect 40% humidity and never played what would it really be worth? Even if it had been rebuilt by someone of the calibre of Del Fandrich with a Ciresa soundboard, Abel hammers, etc. would it be worth 14,000? My advice: call a Baldwin dealer and ask what they will offer for a pristine 1978 Baldwin M.
Many elderly who bought annuities from Baldwin-United died before the smoke cleared. Anyone who owned a Baldwin saw their warranty cancelled. Tell me "it's different this time." Baldwin made some great pianos. In my opinion a 1950's Acrosonic was the best spinet made and the concert grands from the 1950's were stunning. ...and the authorized Baldwin dealer I shopped is now bankrupt, too. Maybe it's time to let Baldwin rest in peace. What are these esoteric Eastern European and Asian brands? I'll bet Petrof, Schimmel, and several others are making more pianos than Baldwin right now. Is Yamaha an esoteric brand? 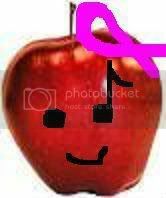 How about Kawai? Never heard of Yamaha or Kawai failing to honor a warranty. In fact, I personally know of a situation in which Yamaha provided a repair after the warranty had expired--free of charge. A local piano technician told me that Gulbransen quit making pianos when they realized that they could no longer do a decent job of it. And others? for the record, and I hoped I had conveyed it earlier... I am a BIG fan of Baldwins ...at a fair to everyone price. Estonia, Bohemia, Sangler & Sohne, any of the pianos coming out of Belarus come to mind. Have you serviced any J. Becker pianos lately? You sound bitter against Baldwin. Did you not get paid for warranty work for the company or a former dealer (Biasco)? Yamaha and Kawai have excellent warranties and service records; no one is making an issue there. If you as a technician feel that Pramberger or any Korean piano is in the same category as hand-crafted pianos like Baldwin, Steinway, Mason & Hamlin, or any of the fine German pianos, that is your opinion and you are entitled to it. I'm not a technician, just a pianist. I hope I didn't give the wrong impression. I've never played a piano from Belarus but I doubt that they compare with my Estonia 190. I'm bitter about great companies which have been run into the ground. What could possibly be done to a 26 year old Baldwin M to make it worth 14,000 when a year ago the same piano could be purchased new for that price? 2) As to what could be done to make that piano worth that money, .... lots. If you don't know what can be done to pianos to restore them, then you're not really in a position to establish a value for any piano, are you. 3) Baldwin's past bankruptcy filing is not relevant to this thread's original topic, which was a retail customer asking for opinions on a specific used Baldwin Grand. It was a former Baldwin dealer advertising in the Chicago Tribune. And to be honest, I believe the price was 15,000 for the M. The SF-10 was 28,000. I don't recall the prices for the R and L. I had played the SF-10 a few months earlier and it was a very nice piano. This dealer was posting a "reckless" price (9,995 and eager to negotiate) on a Weber WSG 57 because he also no longer carried the Weber franchise. It might be possible to increase the musical value of a Baldwin M. But the economic value would be determined by what someone would pay for it. Can't imagine anything outside of gold leaf that would make an old Baldwin M worth 14,000. But I did enjoy your ad hominem attack. Perhaps it hit the mark since I attempted some major work on my 1915 Sohmer without any assistance. (I did very well on the hammers and action; never mention the treble bridge.) Did I make a mess of it? Yes and no. I played it nineteen years and then left it to a rebuilder to turn it into a fine piano for its next owner. Mostly I learned a lot about the piano and myself, something money cannot buy. Since someone suggested that new Baldwins are priced just the same as Steinways I thought I'd set the record straight as to the company's track record. "You made the comparison Senator." I can't imagine that parts would be a problem for an old Baldwin. Pianos aren't like cars in terms of longevity or parts availability. There are those would suggest that I'm trying to dissuade you from buying this piano. Not at all. This could be a fine purchase at the right price. If I had owned a Baldwin M I wouldn't have bothered piano shopping. I am assuming from your tuner's website that you live in Marin county. Why don't you take a day and visit several dealers in the SF Bay area. 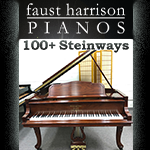 Colton Piano has been a Baldwin dealer in the past and no doubt has used Baldwin grands, in addition to the other brands they represent. Sherman Clay has many stores in the area; go to the one with the largest selection of grands. You can also check Music Exchange in Santa Rosa, Walnut Creek and other locations. Carnes Piano and other stores that I am not familiar with. Do a yellow page search under pianos. 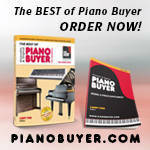 Maybe there are some other rebuilders and used piano dealers (similar to your tuner) that you can compare prices. Finally, why don't you visit your tuner again and see what kind of price you can negotiate. All his website indicated was the asking price, which is only a starting point. You have never said if his price is cast in stone, or what kind of trade-in you might expect. In the final analysis, your decision should be based on the musical quality of the instrument you are considering, and value for price you are investing. I think you have many instruments to choose from in your area, and you may very well end up with the Baldwin M you first inquired about. Baldwin Artist grands used to sell in the 20K range, depending on size and finish, but not any more. Since Gibson took over ownership of Baldwin and cancelled most of the dealers, grand production is only a fraction of the pre-Gibson era. Many of the former dealers still had inventory left over, which drove average street prices down somewhat. However, there have been several price increases (over 25% wholesale just in the past 90 days) on new Baldwin grands. The reasons are known to Henry Juszkiewicz (Gibson/Baldwin CEO), but my guess is that with a much smaller dealer base, lower unit production will require much greater per unit costs, in order for the factory to operate in the black. I also think Mr. J. sincerely believes his product to be at least equal to S & S and M & H in terms of quality (if not yet public perception). Once the old products have sold through the former dealers' stock, there will no longer be $20K Baldwins on the market. The new or surviving Baldwin dealers will be offering $40K Artist grands to their customers and the discounts won't be as drastic as we have seen in the past couple years. 1. You have determined that you could handle a larger piano than a 5'2". I would suggest you try to find someething bigger. The Baldwin M is probably the nicest 5'2" piano I have seen, but ultimately it is still a 5'2" and may not have the bass to satisfy your daughter long term. 2. The great majority of posts on here, and all those that come from posters whose views I am familiar with, hold that it is unlikely a 1978 M would be worth the $14K asking price of this piano. In any event the piano is 26 years old and could need work to make it satisfactory. Baldwins are very tough instruments but a lot can happen in 26 years. You do not know the history of this piano and rebuilding is quite expensive. 3. You should be able to find pretty much any piano in the Bay area. You would be well advised to look around. 3. The general concensus of forum opinion is that to make a good choice on a grand one should invest considerable time in playing as many instruments as you can find, in your price range or not. There are many fine instruments out there with as many different characteristics in tone, action and quality. There are also some amazing bargains if you should be lucky enough to find one. 4.It is a big cash outlay, and if you buy a poor piano (which is not very likely here, but is possible) you are left with the very nasty choice of either pouring more money, possibly quite a lot, into it or foisting it off on some other unlucky buyer, which I am sure you would not want to do. 5. A warranty from a technician is not necessarily the same caliber as a warranty from a dealer/manufacturer on a new piano. Do not confuse the two. 6. I am not against purchasing a used piano, and in fact I tried to find one myself. In my opinion the used piano market right now is overpriced. The 'great used piano for a great price' is pretty hard to find. Even if the M is a great piano, it is an awfully steep price. If you are to buy used, make sure you have a tech to examine them that you can fully trust.